SAMSUNG announces World's first 1TB flash storage (eUFS 2.1) for next-generation smartphones. 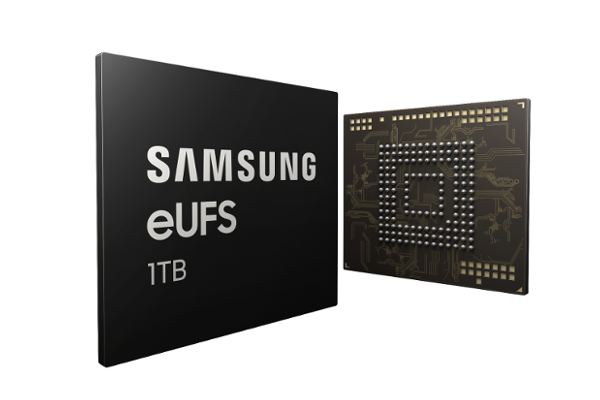 Samsung Electronics today announced that it has begun mass producing the industry's first one-terabyte (TB) embedded Universal Flash Storage (eUFS) 2.1, for use in next-generation mobile applications. Powered by the company's fifth-generation V-NAND, the new Universal Flash Storage offers 20x more storage than a 64GB internal memory and 10x the speed of a typical microSD card for data-intensive applications.